Adelaide, although not as famous a tourist spot as its other Australian big city cousins, it still is a great destination for a holiday. There are many sights and activities you can do if you are visiting with the kids. Me (and my kids’) number one place to visit in Adelaide has to be the Adelaide Zoo. It is located within a very convenient walking distance to the city. It not only has Australian Native animals, but different species from all around the world. 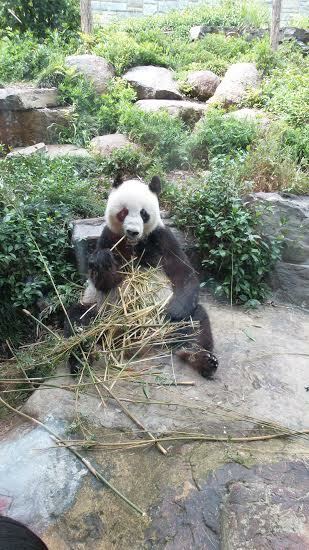 It is Australia’s oldest zoo and the only one that has pandas. Tickets prices are reasonable too and there are keeper talks and animal encounters for the brave ones. Taking the tram to the beach which is 20 minutes from the city center is an adventure in itself, but wait until you get to the beach, you will see why it’s easy to spend the whole day at Glenelg. Swim in the beautiful blue ocean and take a stroll along the water. Check out the Bay Discovery Center and learn about the past. Take the kids to the Beachhouse for mini golf, water slides, play castle, dodgem cars and a carousel ride. 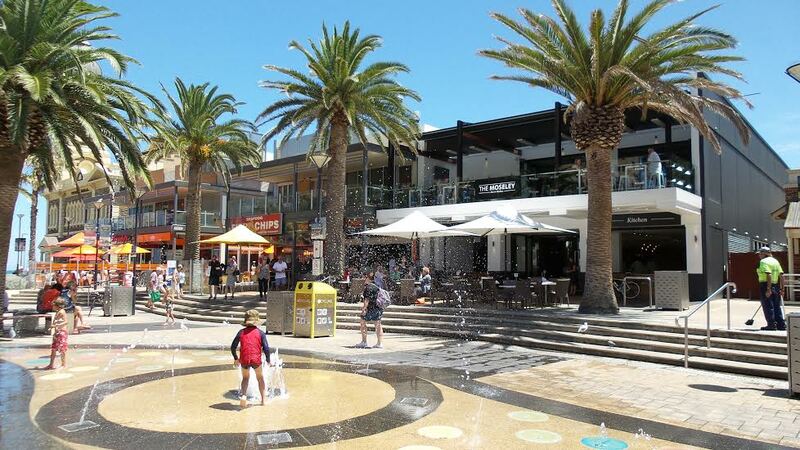 After the fun, you can relax in one of the great restaurants or cafes of Glenelg. Right in the middle of the city, you can find this huge museum with lots of different exhibitions. From Ancient Egypt to dolphins- you will surely find something interesting. During school holidays they have different activities for kids, last time we were there, we were blowing huge bubbles on the lawn. My kids loved it. The best thing about the museum is entry is free. After your museum visit wonder through the Adelaide Botanic Garden and see the Wollemi Pine which dates back to the age of the dinosaurs. The charming town of Port Adelaide is 20 minutes from the city and famous for its colonial buildings. Walk through the docks and check them out. 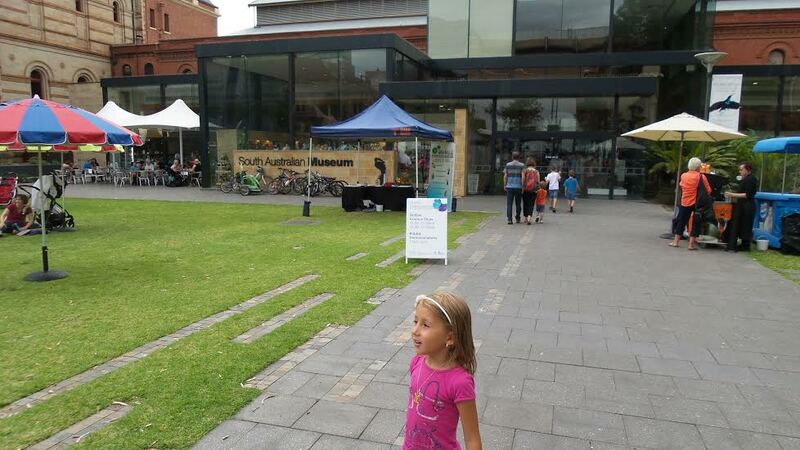 The Maritime Museum, Railway Museum and Aviation Museum are also located in Port Adelaide, if you have transport enthusiast in your family, you need to take them here. Go for a dolphin spotting cruise and climb to the top of the red lighthouse. When you get hungry, you will surely find a restaurant, pub or cafe that satisfies your taste in the heritage area street. Another 20 minutes from the city takes you to Mt Lofty, a must see sight if you are in Adelaide. In the Summit you can find the visitor centre and gift shop, which features interactive touch screens to help you learn more about the Summit and surrounding tourist attractions. Enjoy the beautiful panoramic views from the ocean to the city scape. Take the family for a bush walk to the popular Waterfall Gully, or walk through native bushland to Cleland Wildlife Park.